Bell 429 VIP helicopter. HAI Heli-Expo 2014. Anaheim. Nigel Watson. Bell 429 VIP Configuration. 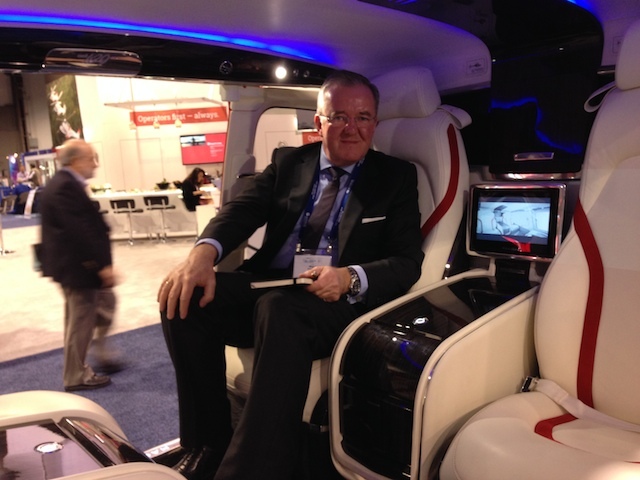 Review At Heli-Expo 2014, California. In its executive configuration, the Bell 429 has some attractive features. Here’s a quick note of my impressions following a personal tour on the Bell stand at the exhibition. If you would like further information, please get in touch. Points to interest the owner. Lower access point as aircraft is on wheels, not skids. Flexible seating arrangements. VIP version with entertainment and fridges etc. Custom interior to owner’s requirements. 12 months delivery with custom VIP configuration. 15 mins seat and rear panel removal to open up a very large cago and cabin area. Noise level around 73 -80 db. Hinged clam shell doors available, to really open up rear end. Clam shells fit flush to hull side so taking away wind gust problem. Proven aircraft. To date 191 sold. US$ 6.8 – 7.0 M purchase price. Points to interest the maintenance team. 2.5 days annual maintenance program by Bell. 100 hour inspection achieved in half a day. Serviceability and down-time reduced significantly. Certified in 2010 for EASA and for AOC use. Built and completed in States shipped airf reight in three sections. Assembled three days. Kit form can be put in or out, all EASA certified. Points to interest the pilot / yacht captain. 150 knots flat profile in flight. Range 2.5 hours at econ cruise with normal reserves. Aux fuel tank available with 28 gals extra range. 30 secs start up 30 secs shut down. 1/2 cycle on engine for instant shutdown. Floats available for use on water. Storage: blade folding: two fwd two aft available. This is a very promising aircraft for the VIP market. From an owner’s perspective, the aircraft is a proven model with quiet operation and a spacious interior. From a maintenance perspective, the Bell 429 is straightforward to work on with ready availability of spares and manufacturer support. The aircraft is suitable for heliyacht operations. Further action:I would be happy to share further information about the VIP potential of the Bell 429 with interested parties. Please email me at nigel@nigelwatson.im. 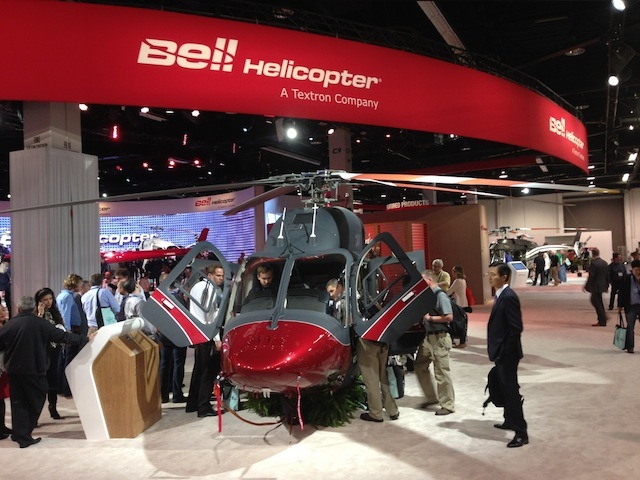 I was very impressed with the VIP configuration of the Bell 429.